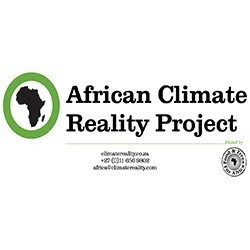 With Workers Day approaching on 1 May, the African Climate Reality Project (ACRP) recognises the contribution of South Africans who work in the energy-generating sector and enable the running of homes, schools, hospitals and other work and public places. 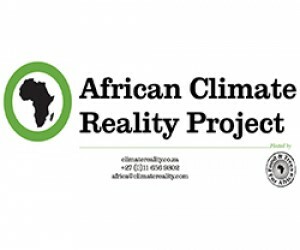 The ACRP highlights that vested interests in maintaining the current approach to energy are adding to an inaccurate perception that moving towards more sustainable and renewable energy is complicated and expensive – and that it will cost jobs. New forms of energy will create new job opportunities and could absorb many workers currently engaged in energy production. South Africa is rich in sunlight and wind, two major sources of renewable energy. Unlike coal, crude oil and gas, these resources are infinite. They will be around for centuries without getting depleted as they are turned into electricity. “Polluted air and disappearing water supplies are a reality and they are already destroying jobs in other key industries, including agriculture and tourism while creating health problems for workers, their families, the communities living in affected area and the population as a whole. In Emalahleni and the surrounding Highveld Priority Area, air pollution from the nearby coal-fired power plants is considered responsible for 51% of the deaths from respiratory illness, and 54% from cardiovascular disease. Every year in Africa, over 700,000 people die from the air pollution resulting from fossil fuel energy generation and use. This is escalating the issue for policy makers and public-interest organisations, including the media, and threatening the big business which is scrambling to put today’s profits before lives, health and tomorrow’s jobs,” says Hamilton. Supporters of renewable energy, including ACRP, are urging for a “just transition” towards a low-carbon economy that is ready to mitigate and meet climate challenges, which protects the rights of workers and other interest groups. Both are very compatible, and harnessing this opportunity now will in fact benefit the greater number of citizens. Local and global role players including workers’ unions, environmental agencies and decision-makers are advocating for a phased and equitable transition that entails public and private investment, policy development, research, reskilling and building of skills. This will deliver new economic opportunities across low-carbon and job-rich sectors and technologies. There is evidence that shows that millions of jobs can be created on the African continent alone out of the transformation towards a clean, green economy. It is inevitable that some sectors such as energy extraction and production will undergo dramatic restructuring. Hamilton emphasises that workers and communities reliant on fossil fuels should not be left on their own to manage the impacts of this transition, as this will not lead to a fair distribution of costs and benefits. This inequity could also lead to social instability and further weakening of the economy. It is the government’s responsibility to drive the just transition, and to start the process now in a way that includes all interested parties. “Emalahleni, which means the place of coal, provides jobs and livelihoods to thousands of workers and their families but does so in the world’s most polluted airspace. These workers deserve acknowledgement and appreciation – but equally a chance to take up employment in the cleaner, healthier, and more sustainable and cost-effective renewable energy sector,” concludes Hamilton.